It is from a family member that caught the ball at the game and had the ball signed by the team. Thank you for submitting your item for appraisal. 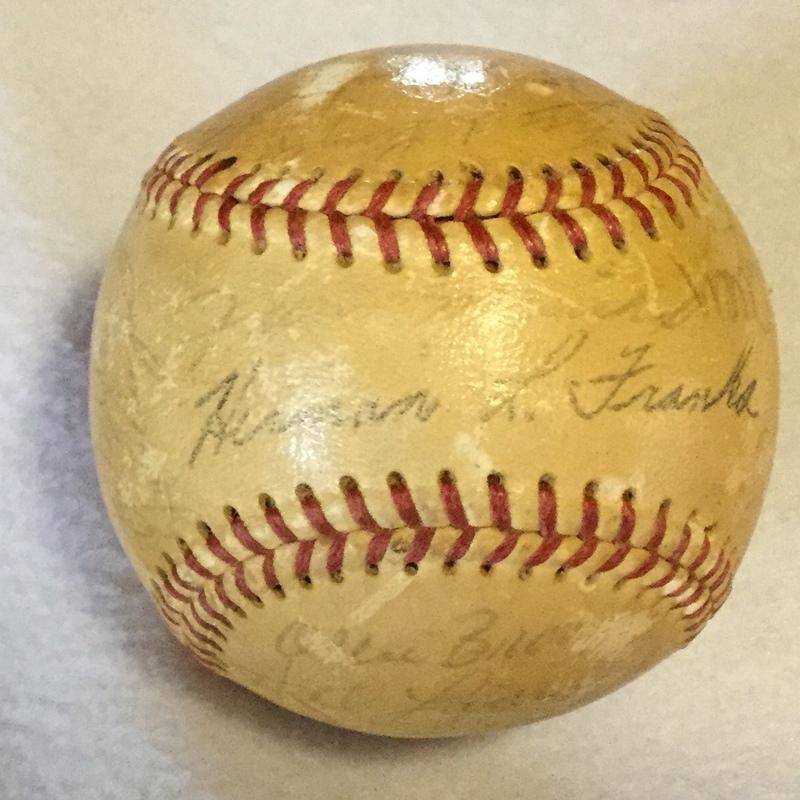 This appears to be a late 1960s Official Spalding National League baseball signed on the side panels by players of the San Francisco Giants. Most signatures have faded consistent with age, The estimate is based on similar actually sold at auction. A serious collector, (especially the guy who was standing next to your family member) might be willing to pay more than the high estimate. Thank you... I really had no idea of its value..